This time, we get to see the Nightsister planet of Dathomir-according to the video description. It does not look like Dathomir from the Clone Wars TV series, but whatever. This video was released back in November, but it only now seems to be picking up strength online. It honestly makes me more mad when video of this game is released because we are never going to get it. In case you did not hear the tragic story, this game was about 95% complete, LucasArts laid some people off, some new people were put in control, and the game was scrapped. Yeah, that actually happened, which is unfortunate, because the majority of videos released of this game looked incredible. 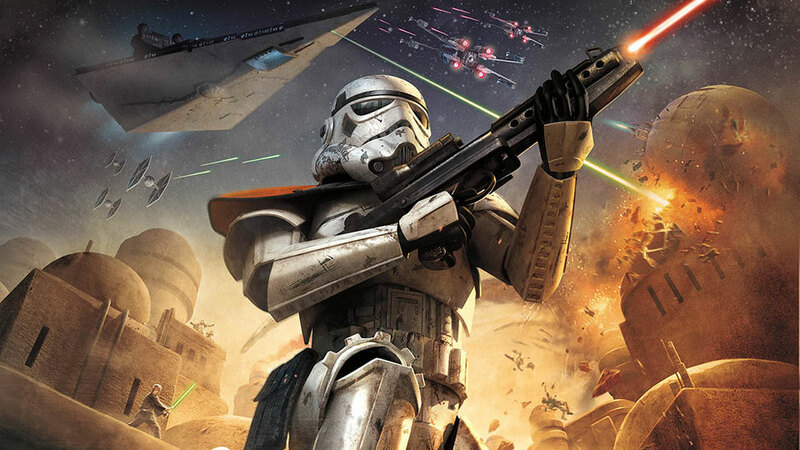 Star Wars Battlefront 1 was the highest selling Star Wars game of all time, so having them cancel this game when it is almost done makes no sense financially. I am saddened everytime I see a BF3 vid, because it may not ever see the light of day and even in the stage it was in, I still wanted the play it.